Amazon just brought one of Google Home’s more useful features to the Echo. The company introduced Alexa Announcements, a feature that effectively turns your Echo into an in-home intercom system if you have multiple speakers in your house. Rolling out to Echo devices in the U.S. and Canada today, the new feature lets you broadcast a message to multiple Echo speakers at once. Just say “Alexa, tell everyone to come upstairs,” and “come upstairs,” will play on every Echo in your house. The command also works with “Alexa, announce…” and “Alexa, broadcast…”. Amazon’s update comes five months after Google introduced a similar feature called Broadcast, which lets you, well, broadcast messages to your Google Home speakers using Google Assistant. Of course, one of Amazon’s relative strengths over Google is the number of third-party Alexa-enabled devices. An Amazon spokesperson says they don’t yet have a way for third parties to integrate the Announcements feature, but it’s something the company’s working on. Volcano eruptions are impressive and photogenic, as we’ve seen many times before. But a very unusual and spectacular photo was recently shared on United States Geological Survey’s Twitter page. 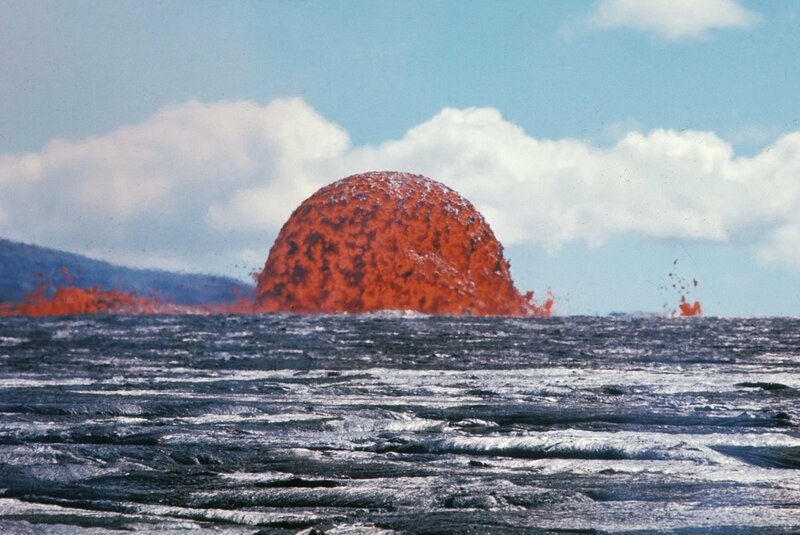 It shows a lava dome rising up to 65 feet (20m), and it looks like a scene from a sci-fi movie. 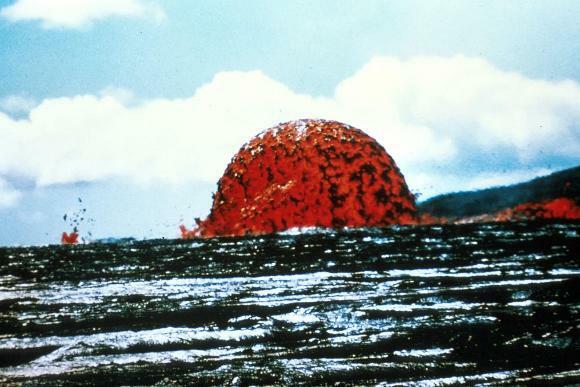 As USGS writes, this photo shows an eruption of Kilauea Volcano in Hawaii and it was captured between 10 and 13 October 1969. The amazing “fireball” we see is a formation called “dome fountain.” According to USGS, symmetrical dome fountains like this are rare. This particular one is 65 feet (20m) high, but according to another photo on USGS’s website, it’s possible that it reached as much as 245 feet (75m). To compare, it’s approximately like a 22-story building. Many people (including myself) were wondering why there is no steam in the photo because it looks like the volcano is surrounded by water. However, the foreground isn’t water, but cooled lava.